After the purchase of Beats last year, Apple has finally unleashed its streaming music service upon the world. Simply titled Apple Music, you can sign up today and listen for three months without paying a cent. The service isn’t without its teething problems though, which might explain why Apple chose to debut the service well in advance of the launch of iOS 9 What's New in iOS 9? What's New in iOS 9? 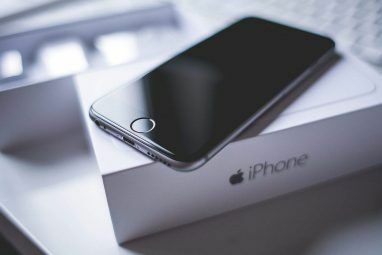 Want to know what features your iPhone will be getting with the release of iOS 9 in September? Curious as to whether your device will be compatible? You're in the right place. Read More and OS X 11.10 “El Capitan” What's New In OS X 10.11 "El Capitan"? (And How to Try it Yourself) What's New In OS X 10.11 "El Capitan"? (And How to Try it Yourself) While the changes don't seem that big on the surface, there's a lot going on under the hood that could make this incremental upgrade one of the most significant to date. Read More . Here’s what you need to know about Apple Music and how to get it. You can sign up for Apple Music either on an iOS device like the iPhone or iPad or a Mac or Windows computer running iTunes. On a mobile device, first update your iOS version to 8.4 by visiting Settings > General > Software Update and following the instructions. 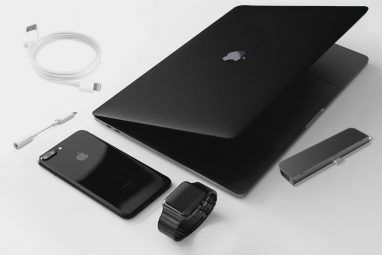 You’ll probably want to backup your device How to Back Up Your iPhone and iPad How to Back Up Your iPhone and iPad What would you do if you lost your iPhone tomorrow? You need to have a backup plan, and we'll show you how to back up to iCloud or iTunes. Read More before you update, just in case something goes wrong. Once you’ve restarted into iOS 8.4, sign up by launching the new Music app. If you’re using a Mac or Windows computer, you can sign up from within iTunes (you’ll need an Apple ID). On a Mac, update to the latest version of iTunes by visiting the App Store > Updates and on a Windows machine update click Help > Check for Updates in the menu bar. Once you’ve updated, you can head to the For You tab where you’ll be invited to join Apple Music. Note: If you’ve already signed up on one device, you can click Go To My Music — there’s no need to sign up on each device, just the Apple ID you’re using. As part of the signup process, Apple will ask you to select some of your favourite artists, first by asking you for genres and then making suggestions. Your selections here will be added to your followed artists and used to make further suggestions for playlists, similar artists or albums on the For You tab. Arguably the most important thing to do on each new device is enable iCloud Music Library, which will keep your tracks and artists current between devices. You can do this in iOS under Settings > Music, and it should automatically enable when signing up using iTunes. You can now can begin searching for artists and adding albums to your collection either using the ellipsis (…) icon next to entries or by hitting the plus “+” on an album’s page. Whether you’re trying to conserve battery life, bandwidth or you absolutely must have certain albums or playlists with you at all times; offline listening has been extensively implemented within Apple Music. You can mark individual songs and albums available for offline use (on both iTunes and for mobile devices) simply by clicking the familiar “download from iCloud” button. You can also download entire playlists by visiting the playlist and choosing Make Available Offline. Syncing offline music to iOS devices seems to happen in the background — though launching the Music app is enough to force your iCloud Music Library to check that it’s current. Can iOS Apps Use Apple Music? Apple Music appears on your iOS device as if it were your music, so you’d be forgiven for thinking you could make use of this music in any way you see fit. As an example, in an app like djay 2, your Apple Music appears alongside your own files with little to indicate they’re not your files. Tap on a song and you’ll be told you can’t play it unless you download it. Download it, try again and you’ll be given a DRM error — which means there’s no Apple Music integration with third party apps yet, but that doesn’t mean it will never happen (just like it did with Spotify). This will disappoint armchair DJs dearly, but it makes relatively little difference to your listening habits. And of course you can still play Apple Music in the background while your workout app talks to you. You can sign up for Apple Music right now, and you won’t be charged for three months as part of the free trial. When your trial is up, you’ll be charged $9.99 for an individual account, or $14.99 if you signed up for a family account. The latter requires Family Sharing be set up, and allows up to five members of the same family to enjoy Apple Music under one subscription (with separate music collections, of course). How does this look around the world? A monthly individual account will cost you £9.99 in the UK, AUD$11.99 in Australia, and Rs. 120 in India (about US$2). That’s a good picture of how Apple has rolled out Apple Music globally — charging considerably more in “richer” territories without crippling it with excessive entry fees in others. Note: You can cancel or change your plan type (before being charged) by tapping on the user silhouette icon in the top-left corner of the Music iPhone app, selecting View Apple ID and supplying your password and tapping Manage under “Subscriptions”. You can do this via iTunes on a computer by clicking your name at the top of the screen, selecting Account Info and signing in. Hit Manage next to subscriptions to make changes. Apple Music doesn’t stream the entire iTunes library of music, but it does stream a good percentage of it. The official line is “over 30 million tracks” — the same number quoted by market-leader Spotify Spotify Music Streaming: The Unofficial Guide Spotify Music Streaming: The Unofficial Guide Spotify is the biggest music streaming service around. If you're not sure how to use it, this guide will walk you through the service, as well as offer some crucial top tips. Read More — though you should expect overall availability to differ depending on your location. Similarly, Rdio quotes “over 32 million songs” and until recently I was using this service . Initial observations put Apple Music ahead of Rdio, at least for the type of music I listen to. My evidence is purely anecdotal, but I’ve noticed richer back catalogues for emerging and local (in my case Australian) artists from Apple Music. This article may help if you’re choosing between Rdio and Spotify Spotify vs. Rdio: A Complete Comparison Spotify vs. Rdio: A Complete Comparison I recently cancelled my Spotify Premium membership after a year of uninterrupted monthly payments to the company. This decision came about when I accidentally signed up for 14-days of free Rdio Unlimited. Quite frankly, I... Read More . iTunes is already one of the first-stop destinations for artists looking to sell their music online $1 Per Song? No Way! 5 Cheaper Alternatives For The iTunes Store $1 Per Song? No Way! 5 Cheaper Alternatives For The iTunes Store The world of music is constantly changing. Vinyl, cassettes, CDs, and now MP3s - and that means that we’ve gone from analog to digital. The best thing about digital music, in my opinion, is that... Read More , which might explain my catalogue observations. Now that Apple offers artists two avenues of monetization and has made a commitment to exclusivity deals (early album previews on Apple Music), the iTunes streaming catalogue is only going to improve further. Arguably the two least interesting aspects of Apple Music are the Connect social interface, and Beats 1 — a 24/7 radio station curated by Zane Lowe. Both of these features have a separate tab on both the iTunes and iOS interface, and realistically you could make great use of Apple Music without ever visiting them. Remember all those artists iTunes asked you to follow earlier? Apple Music Connect is where you’re meant to be able to catch up with them all, with Apple hoping artists will embrace the feed and share rare remixes, photos and other happenings. Unfortunately, it’s a bit of a no-show at the moment and of the 30-something artists I’m following only one has posted anything (it’s an Instagram photo). It’s a social network where you have no voice, and nor do you really have any friends. You can’t follow friends or easily share songs. Instead, you can comment on items shared by bands you follow and that’s about it. If you’d rather disable the service, lose the Connect tab on your iPhone and replace it with a dedicated Playlists tab instead, head to Settings > General > Restrictions. Set a passcode if you need to, then restrict access to Apple Music Connect. Think of Beats 1 like a playlist, though you’re streaming a “radio” station you can interact with songs as if you’d picked them yourself — add them to your collection, rate them, create playlists. There are transitions between songs, and jingles will remind you that you’re listening to the “radio”. A new Apple product with issues? But that never happens — oh wait, yes it does A Cleaner, Faster iPhoto: Upgrade to Photos for OS X Yosemite A Cleaner, Faster iPhoto: Upgrade to Photos for OS X Yosemite Photos for OS X has finally arrived, replacing iPhoto with an image management application that Mac users will actually want to use — but is there enough here to satisfy Aperture refugees? Read More and Apple Music is no different. There’s probably a reason Apple decided to launch their music service roughly three months before they release a new phone and their two major OS updates drop — because it affords them plenty of time to fix bugs and better integrate the service. Other companies might call this a beta test, but Apple is calling it a free trial. Regardless, Apple Music is most usable on the iPhone right now — in fact, I’d go as far as saying it’s pretty nice. It’s not crashed once on me, my actions (adding music to collection, populating playlists) work without a hitch and the app is smooth and responsive on my iPhone 6. The iPad app is unfortunately not quite there yet. It crashes often and is sluggish to the point where some artist pages won’t scroll properly. Menus don’t appear where they should and adding albums to your collection becomes somewhat of an exercise in patience, quite unlike the iPhone version. Which brings us to the Mac version, for which Apple has decided to use iTunes. This results in a rather horrible user experience as the software directs you between the iTunes Store and Apple Music at random intervals. You can’t do things like easily browse an artist in Apple Music from your Collection, you’ve got to search for them (but make sure you’re searching the right store). Clicking on an ellipsis (…) to add an an album from the search results page only loads an option to “Share” the album roughly half of the time — so you have to click the album, wait for it to load, then add it to your collection and go back to your search results to continue browsing. Sure, it works, but it’s not music to your ears — it’s a shrill fire alarm at 5 a.m. screaming “iTunes must die!” on repeat. Apple Music has gotten off to a bright start — the catalogue is impressive, it’s feature-rich, and international pricing and availability are spot-on. If you’re signing up for a three-month trial today, you probably won’t be disappointed. The iPad version is problematic, but it’s an easy fix that’s on the way. What’s most disappointing is the Mac (and presumably Windows?) version, which feels more like a dirty iTunes hack than polished software. A lightweight, dedicated app would be the ideal fix to this situation, but that’s unlikely considering Apple’s obsession with iTunes. Have you signed up for the Apple Music three-month trial? What do you think so far? Explore more about: Apple Music, iPad, iPhone, iTunes. Rs. 120 for India is dirt cheap for a Apple service. Just consider that a good album on CD is nearly triple that amount. 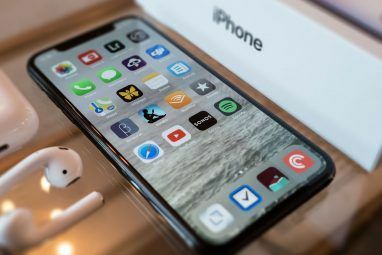 "Arguably the most important thing to do on each new device is enable iCloud Music Library, which will keep your tracks and artists current between devices. You can do this in iOS under Settings > Music, and it should automatically enable when signing up using iTunes." There are reports that Apple replaces your original files in the cloud with their DRM'ed files. 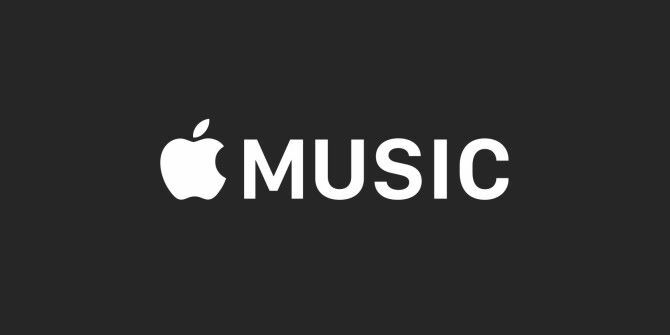 Your purchased music (from other sources) will become Apple 'licensed' music files.